If you need closed captions to accompany the videos, you're in luck! 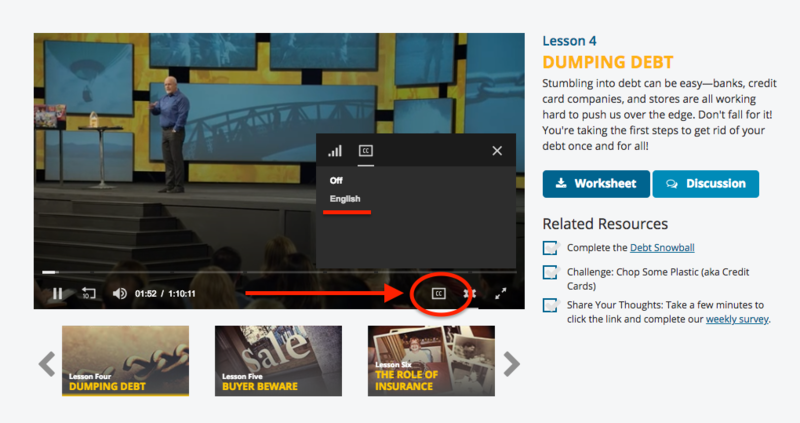 The nine full lesson videos all have closed caption when you stream them from FinancialPeace.com. When you click play on one of the videos, simply click on the "CC" button on the bottom right corner of the video player.